Each year, the Decor Team at Empire waits with baited breath for the colour masters at Pantone to name the Colour of the Year. From there we soak up the Pantone Color Institute‘s seasonal colour reports and dream up as many ways as we can to bring those colours into your daily lives. And oh, how the rich fall colours have stolen our hearts. We’ve put together home inspiration boards for five of our top five favourite Pantone fall colours and we’re sure you’ll love to incorporate into your decor plans this season. See the full list here. What colours are you planning to embrace for fall? 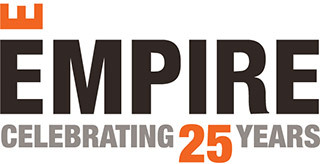 Share with us on Facebook, or tag us in your photos on Twitter and Instagram #EmpireDecor.